Beck has announced a tour for this summer that will take him to eleven mid-west and western cities. The tour comes before the release of his newest album, which isn't due until the fall. His last album was the Grammy Award winning Album of the Year, Morning Phase (2014). The new album is said to be much more upbeat than the previous set which can be heard on the three songs already released, Dreams, Up All Night and the latest, Wow. 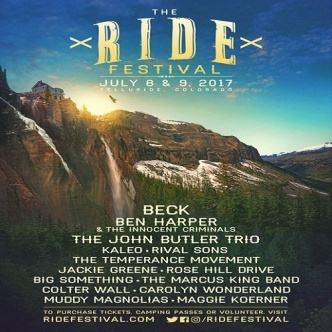 The summer tour opens on July 9 at The Ride Festival in Telluride, CO and runs through August 27 at Musicfest NW in Portland, OR.